Discussions Magazine Music Blog: Amazing DVD box sets! CHAPLIN! MONROE! WELLES! LEAN! HESTON! Amazing DVD box sets! CHAPLIN! MONROE! 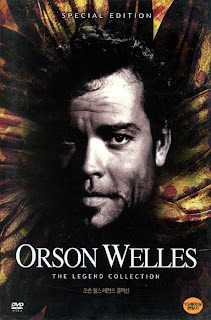 WELLES! LEAN! HESTON! Check out these amazing DVD box sets that will thicken up your film collection but not thin out your wallet! Essential 10 DVD box set containing 10 of the English actor/director's finest films. Chaplin may be best remembered for his slapstick comedy skills, but his films, which he wrote, directed, scored and starred in, touched on many controversial subjects throughout his career. Over three decades after his death, Chaplin is still considered one of the true geniuses of film making and is totally deserving of the terms 'legend' and 'icon'. 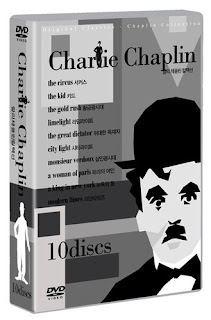 This 10 disc set includes The Kid, A Woman Of Paris, The Gold Rush, The Circus, City Lights, Modern Times, The Great Dictator, Monsieur Verdoux, Limelight and A King In New York (his last starring role in one of his feature films). 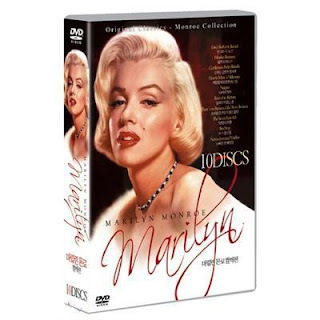 Essential 10 DVD box set containing nine of the Hollywood icon's finest films plus a biopic on her life. Marilyn Monroe was born to be in pictures and grace the pages of magazines. Her beauty, her charm and her charisma are the stuff of legend and she continues to be an inspiration nearly 50 years after her death. The films featured in this set include Monkey Business, Don't Bother to Knock, Niagara, Gentlemen Prefer Blondes, How To Marry A Millionaire, There's No Business Like Show Business, River of No Return, The Seven Year Itch and Bus Stop plus the biopic Norma Jean And Marilyn starring Ashley Judd and Mira Sorvino. Excellent six DVD box set from the legendary director, writer, producer and actor. This box contains six of his greatest works: Macbeth (1948/out of print in the U.S.), Citizen Kane (1941/only available as a two disc version in the U.S. ), Chimes At Midnight (1965/currently out of print in the U.S.), The Trial (1962), The Magnificent Ambersons (1942/nNever released in the U.S. on DVD) and Mr. Arkadin (1955/only available as a deluxe Criterion version in the U.S.). This amazing set of films will please Welles fans and movie buffs alike. Excellent nine DVD box set from the British filmmaker, producer, screenwriter and editor, often referred to as one of the greatest film directors of all time. This box set contains nine of his films spanning the years 1944 to 1953: The Sound Barrier, Hudson's Choice, Blithe Spirit, Brief Encounter, Great Expectations, Oliver Twist, Madeleine, The Passionate Friends and This Happy Breed. A huge influence on Steven Spielberg and Martin Scorcese, Lean was nominated for nine Academy Awards during his career, taking home two of the prized Oscar statues. Amazing 15 DVD box set containing some of Charlton Heston's most memorable performances of his acclaimed career. This box set includes the films The Miracles Of Jesus Jonah And The Whale, Samson & Delilah David & Goliath The Garden Of Eden Sodom & Gomorrah The Story of Moses The Last Supper Joseph & The Coat Of Many Colors The Apostles, Daniel And The Lion's Den Joshua And The Battle of Jericho The Nativity, Ben Hur and Father Christmas.